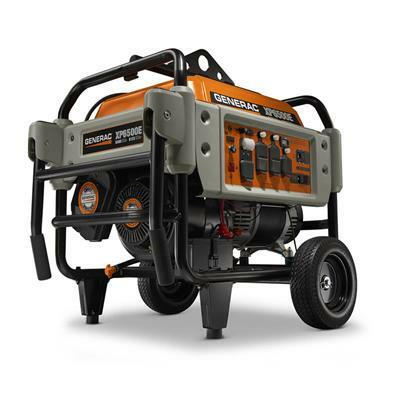 This Generac XP6500E 6,500-Watt Portable Generator yet rugged unit is easy to transport to job sites while still packing power with Generac’s OHVI® engine. Features The Generac OHVI® engine incorporates full pressure lubrication with automotive style spin on oil filter for longer life engine. 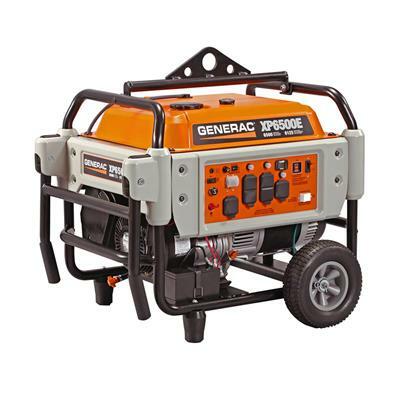 This Generac XP6500E 6,500-Watt Portable Generator yet rugged unit is easy to transport to job sites while still packing power with Generac’s OHVI® engine. Integrated lifting eye provides easy transport and security on the jobsite. All-terrain, never flat wheels and fold-down locking handle for reliable portability and compact storage. 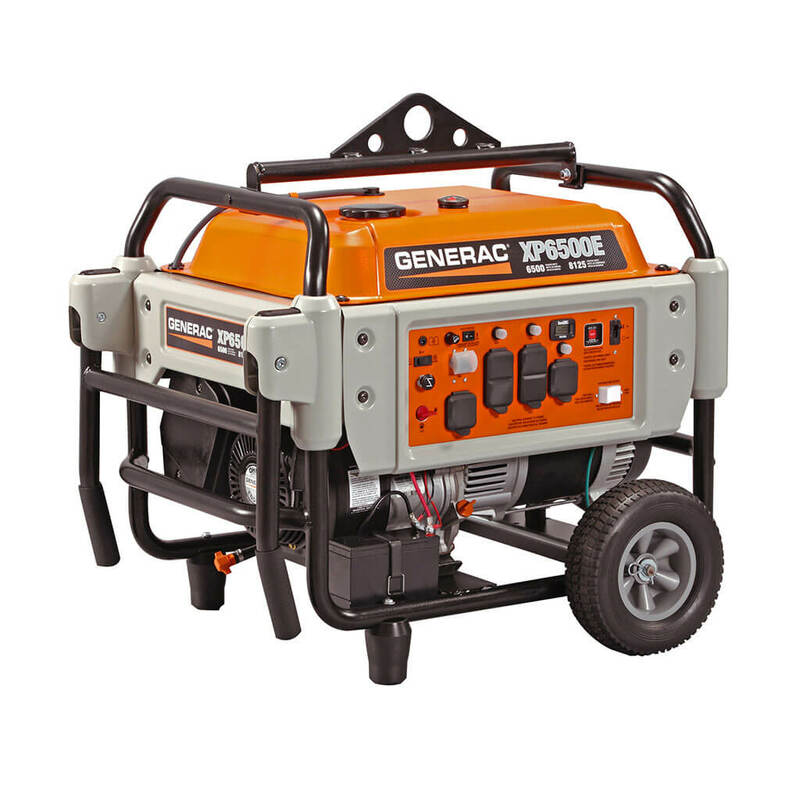 Single touch electric start provides hassle-free start-up, battery included. On-control panel plug-in battery charger jack keeps battery charged. Item Length: 34.5 in. Item Width: 29 in.